BGCI is delighted to announce the winners of the Marsh Awards 2016. Jenny Cruse Sanders is a commendable leader of plant conservation initiatives in the Southeast United States and is guiding the plant conservation field in significant directions at the national level. 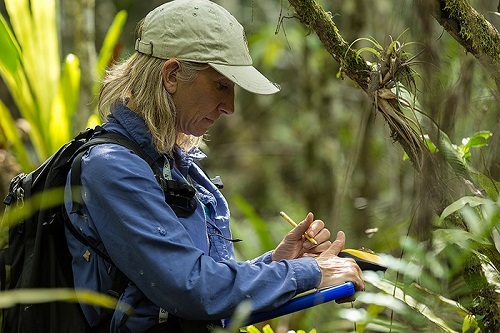 This summary of Jenny’s work is inadequate and likely incomplete, however it hopefully demonstrates her passion for and dedication to plant conservation. Jenny has developed conservation programs at the local, state and regional levels for numerous threatened species and habitats of the biodiverse Southeast, including orchids, pitcher plants, and the Torrey pine, one of the most threatened conifers in the world. Jenny has positioned the Atlanta Botanical Garden as a conservation hub in Georgia and the Southeast, and has put them on the map nationally as a member of the Center for Plant Conservation. Jenny uses well-informed approaches to monitor, study and establish conservation protocols for the species she works with, utilizing a broad scope of cutting-edge technologies including molecular analysis, cryopreservation and tissue culture. Jenny’s smart approach and talent for bringing partners together has resulted in her playing important roles in the development of the Georgia Plant Conservation Alliance and the North American Orchid Conservation Center, among several other network-based initiatives aimed at sharing tools and information to strategize and inform conservation activities. 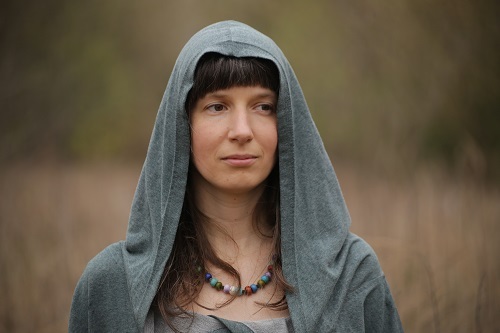 Iwa has been active at the university and botanic garden for 13 years, since her Masters degree, and during this time the department has grown and gone from strength to strength, with education at the garden becoming more and more respected within and outside the institution. Iwa is committed to botanic garden education. Her ability to develop activities on a low budget has been an inspiration to small gardens internationally. Her presentation at BGCI’s 8th International Congress on Education in Botanic Gardens held in Mexico in 2012, about developing activities to explain seed dispersal on a shoe string, is still spoken about today. Due largely to Iwa’s impact at the 8th International Congress on Education in Botanic Gardens, the University of Warsaw was chosen as the host of the 10th Congress in 2018. The aim of this is to highlight the creativity of the team there and show the importance of careful planning and creative thinking rather than large amounts of funding. Iwa is also a researcher in ethnobotanical knowledge which supports her ability to develop activities that are innovative and engaging to different audiences. She is keen to see the connection between art and science communication and therefore has the ability to speak to a broad range of often hard-to-reach audiences, including teenagers and refugees. The awards come with a cash prize of £1,000 and a Certificate for each winner. The Award Ceremony will be held at the Linnean Society in London on the evening of December 6th. BGCI would like to congratulate the award winners for their wonderful efforts, and we are delighted that they are being recognized in this way.